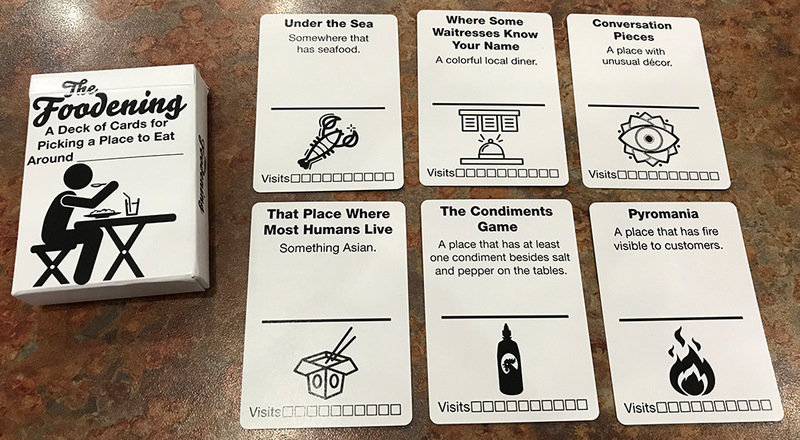 The Foodening is a customizable deck to help you pick a place to eat. There are 52 cards, each with a prompt to provoke you to think of local restaruants you might not have thought about. Pass a few around the group, fill them in with restaurant names, and before long you'll have a deck of local restaurants for whenever you need a little random help picking somewhere to eat.